BROWNSBURG, Ind. 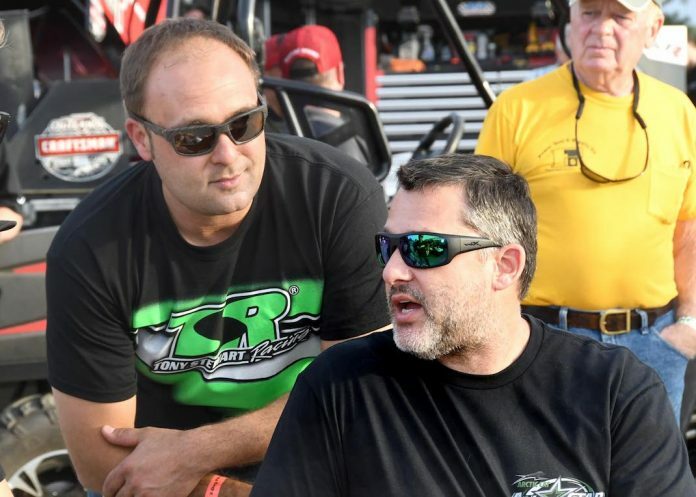 — Rush Truck Centers and Ford Performance have stepped up to become co-primary sponsors of the Tony Stewart/Curb-Agajanian Racing sprint cars driven by team owner Tony Stewart and 10-time World of Outlaws NOS Energy Drink Sprint Car Series champion Donny Schatz. The partnership aligns Rush Truck Centers, among the most widely recognized, one-stop service and sales entities in the transportation industry with a broad network of locations with TSR. For the past two seasons, Ford Performance has been solidifying plans to develop a 410 cubic inch engine that will officially make its on-track debut in 2019. Working with engine builders Andy Durham and Ron Shaver, alongside TSR’s Rick Warner, the Ford Performance team has ramped up development which saw the new powerplant’s first dyno test take place on Jan. 24. Continuing a partnership that began in 2010, motorsports icons Mike Curb and Cary Agajanian will also return as the co-entrants for the No. 14 and No. 15 teams this season. The Sage Fruit Company, a Pacific Northwest sales and marketing organization in the tree fruit industry will also return for the 2019 season as part of TSR. The partnership includes associate sponsorship on the No. 15 driven by Schatz and the No. 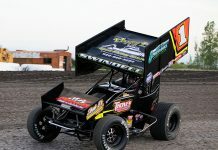 14 driven by Stewart. Joining TSR for its first season will see Florida-based Absolute Automation & Security assert its presence in motorsports. Hunt Brothers Pizza begins its sophomore partnership with TSR.